May 14, 2014 - Today's adventure got us away from the 100° heat in Redlands and brought us to the cool mountain air of Big Bear, CA. We started a little late so our first stop was in Fawnskin for breakfast at the North Shore Cafe where we both enjoyed their Bread Pudding French Toast. Our main purpose was to see the "Gold Fever Trail." A prospector named William F. Holcomb came to the San Bernardino mountains in 1859 and found gold, actually he and others found quite a lot of it. 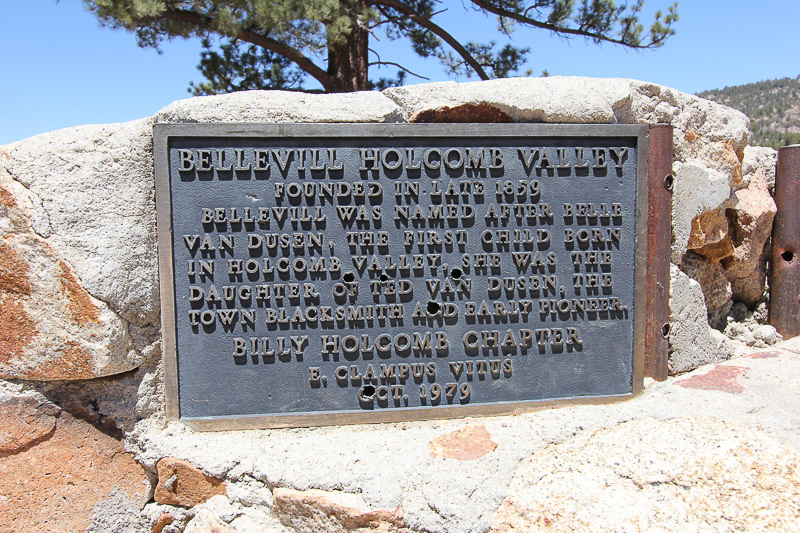 This mined area is now called the Holcomb Valley in his honor, however, there's nothing left to the small mining camps and towns that were established here. Bellevill, the largest town following the boom, almost became the county seat of San Bernardino County but missed being selected by only two votes. Notice the bullet holes in the plaque. This is all that remains of Bellevill. 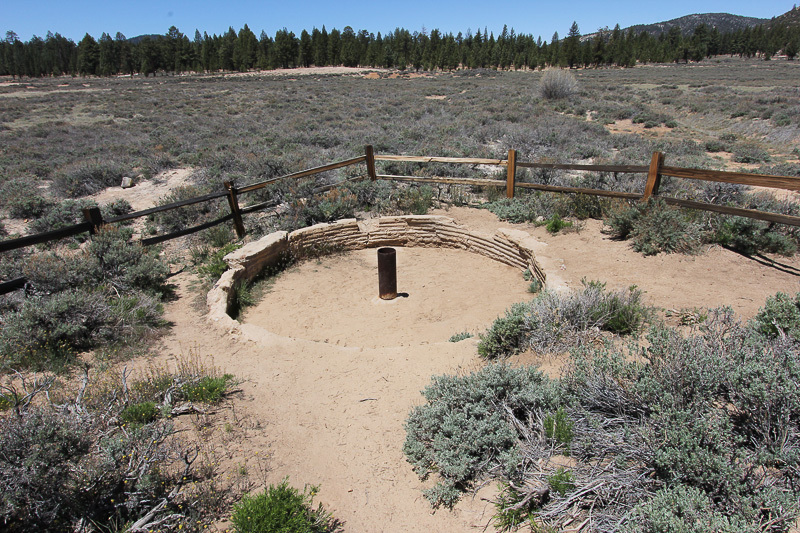 This is an "arrastres," where raw ore was ground to separate the embedded gold flakes. 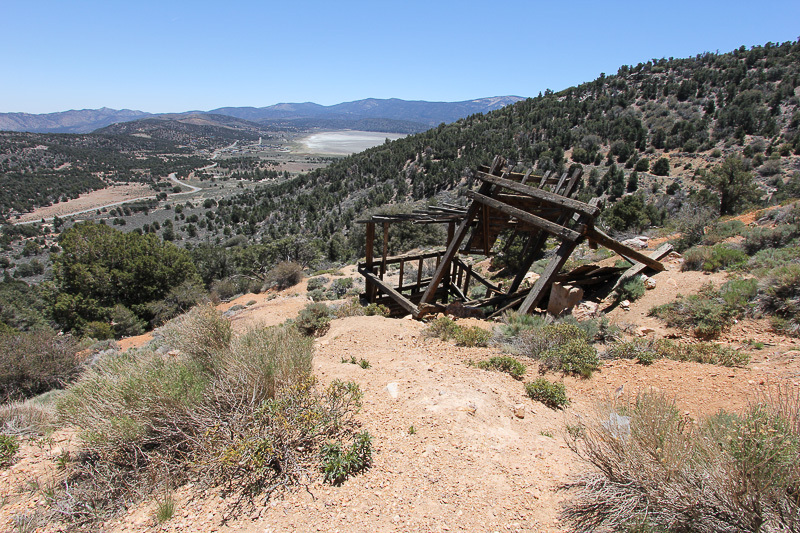 This is one of the many abandoned mines in this area. 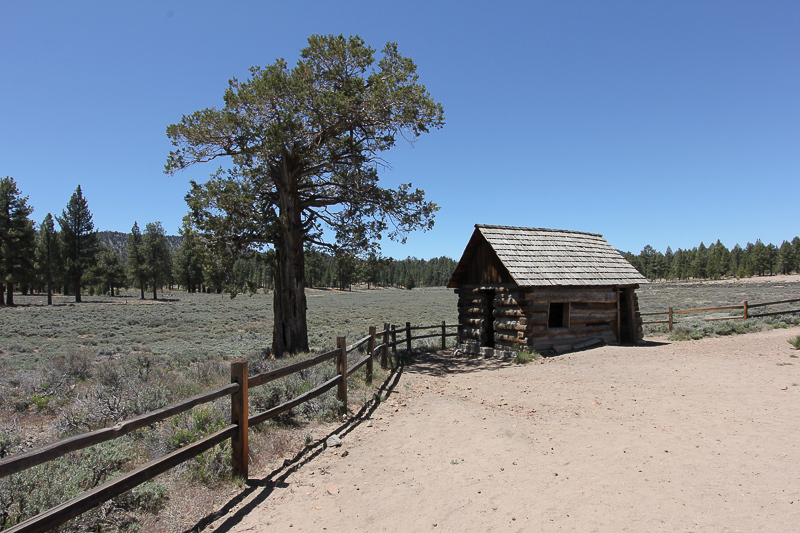 The "Gold Fever Trail" is about 12 miles long on dirt and/or rock roads. It was a pretty bumpy ride so we were happy to finally reach a paved road. 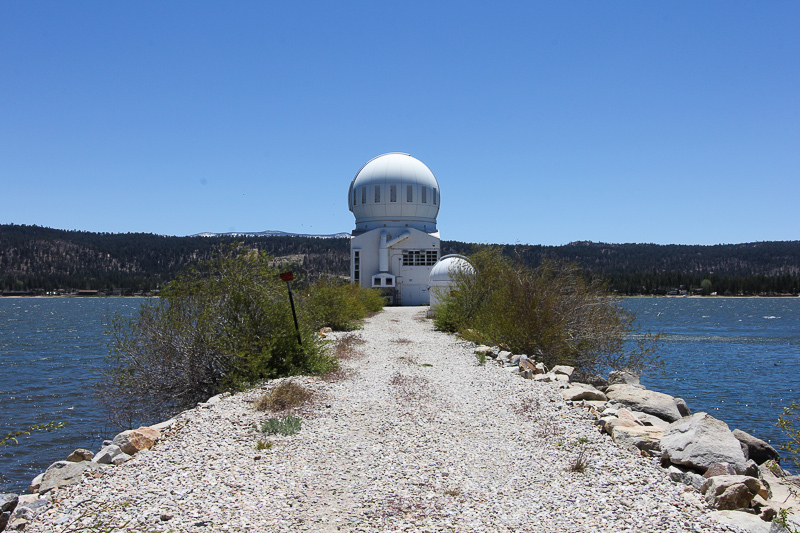 Our next stop was to see the Big Bear Solar Observatory in the middle of Big Bear Lake. 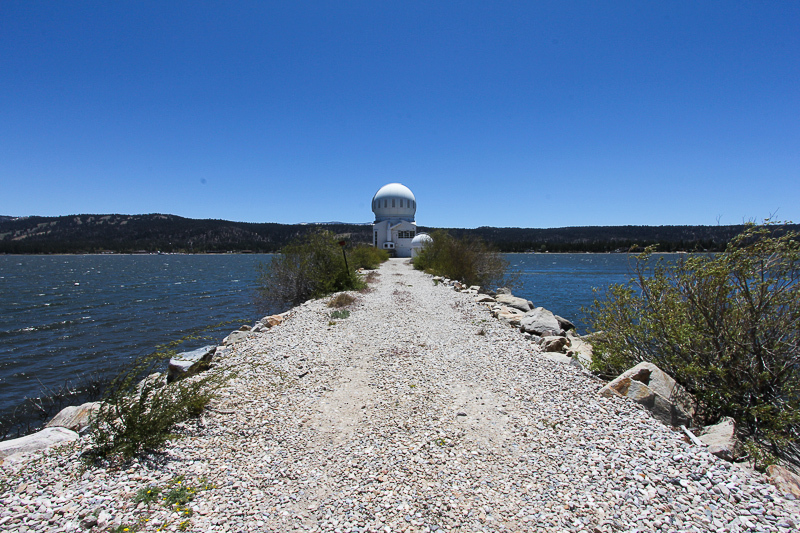 The observatory isn't open to the public but we were lucky enough to gain access out on the causeway. The BBSO has built the world's largest aperture solar telescope that makes the highest resolution observations of the sun ever made. 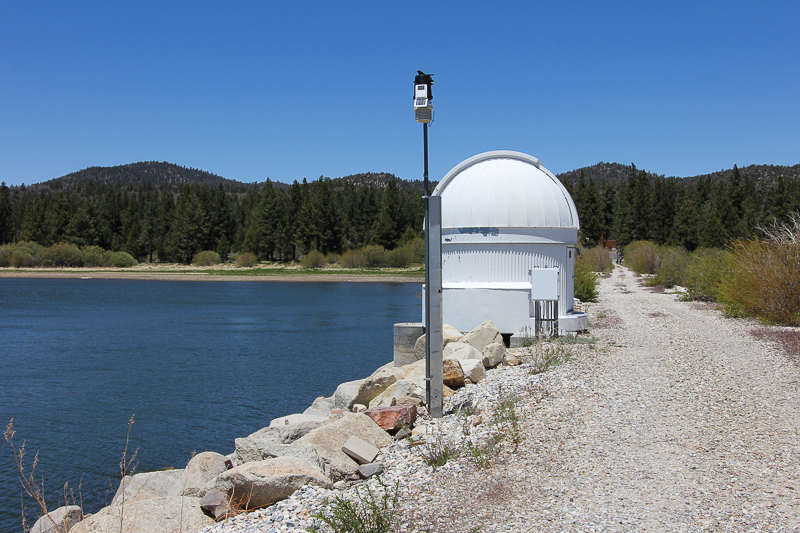 The observatory was located here to take advantage of the cloudless mountain weather of Southern California and the air stability provided by the natural inversion caused by the cool lake. The snow is the mountaintops is still visible in the picture shown below. "Image of AR NOAA 1084 taken on July 2, 2010 in TiO (706 nm) filter and with real time correction for atmospheric distortion (adaptive optics). For perspective, the Earth is slightly smaller than the whole sunspot including the dark umbra and the daisy petal-like penumbra. The spot is surrounded by the Sun's ubiquitous granular field in which the small individual bright points in intergranular lanes are near the diffraction limit of the telescope. 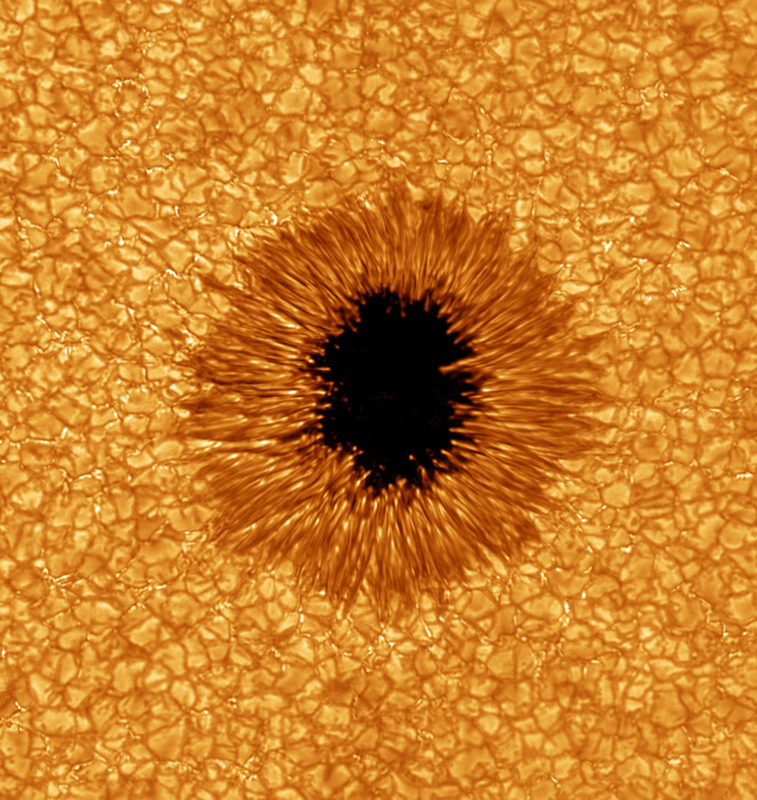 This image has been called the most precise image of the Sun's surface ever taken and was chosen by the editors of National Geographic as one of the top ten space images of 2010 . 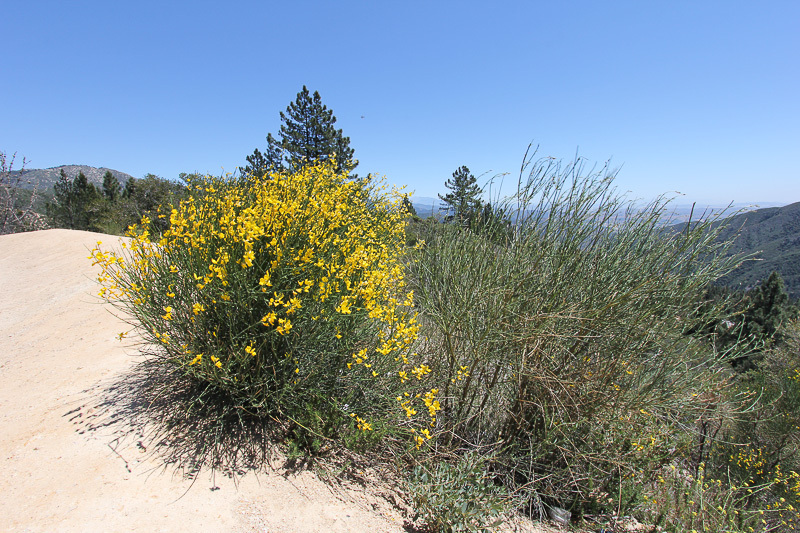 (Posted: 1 Sept, 2010)"
On our return back to Redlands, we noticed these beautiful bouquets of yellow flowers everywhere, especially along the sides of the road. 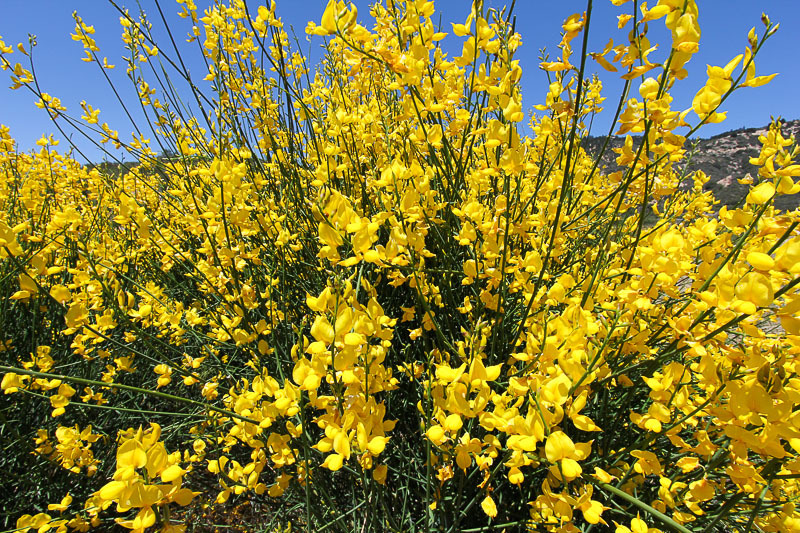 Since we had no idea what they were, I called the Ranger Station in Big Bear and they told me their common name is Scotch Broom.